Daytrading can be a daunting task, so some prefer to swing trade which allows them to be at work all day long vs. at the desk actively trading each and every single day. This allows you to be a participant in the market while at the same time honing in those trading skill while making money at the same time. There are many different approaches one can actually take to swing trading, but mine is quite simple, risk 10% of your capital on the trade, with a size that if you are wrong, your not crushed. If you do take the loss, which you will, that’s just a part of trading, you need to at least learn a lesson from it, so lets get on with it. Recently there was a sizzling hot IPO in TWLO and it made an incredible move during the 1st week of trading, had BREXIT not happened, the chart may have looked much smoother and not had that gap down the 2nd day. After its move to over 40 I wanted to keep my eye on this, provided the overall market would sustain and hold, for a move much higher. 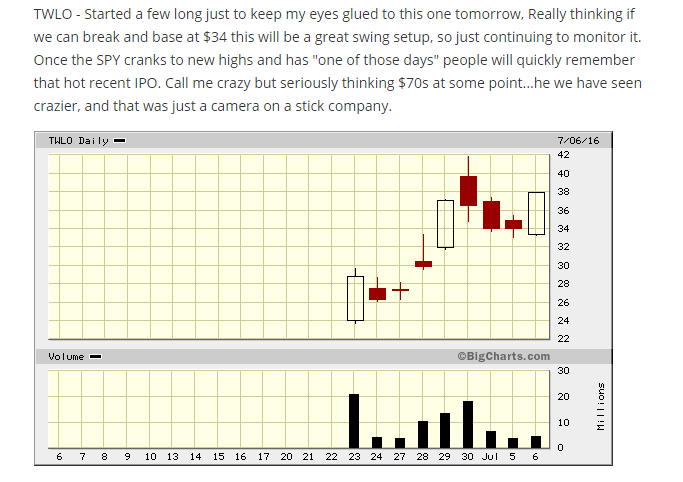 As you can see on the daily chart I posted last night on my scan here. I was expecting a base around 33 with a break and hold of 34 to really initiate the full risk on 31. 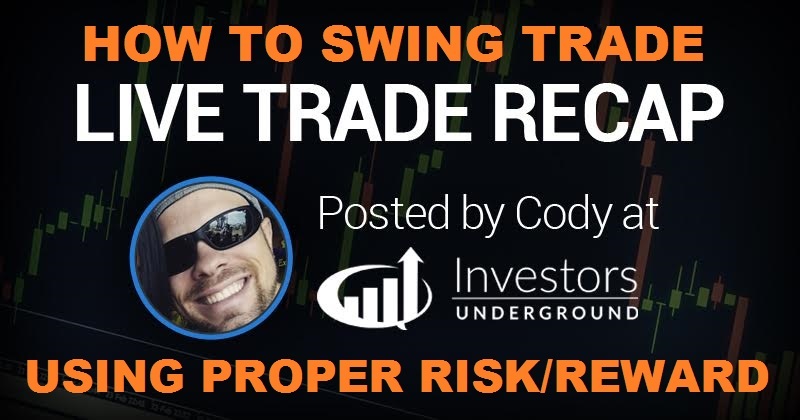 So, hopefully the video below give you some insight on how to take proper risk reward on a swing trade, and even maybe how to trade that same stock if you have the whole day off, and are able to day trade it. As always, if you have any questions leave them below and Enjoy The Video!